During my recent playthrough of the new PS4 exclusive God of War, I noticed that I actually missed the quicktime events that were made famous (and marketable) by the original PS2 God of War. I liked the first two PS2 God of Wars' brutal treks through Greek mythology, but I wasn't a die-hard fan. I was always more of a Devil May Cry kind of guy. So I was surprised to feel nostalgic over a feature that had been removed from those games. I was double-surprised by the fact that I was nostalgic over a feature that most of the gaming community (including myself) has come to despise. The series that popularized quicktime events has seemingly abandoned them. 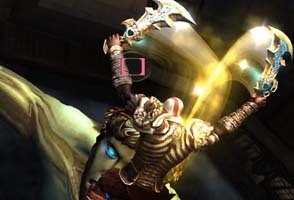 Quicktime events (or "QTE", or "Quick Timer Event" as it was called in the manual for Shenmue) were a fairly innovative and well-received feature when the first God of War released in 2005, and that game received perfect scores from many critics. At the time, QTEs were considered an excellent way of providing a flashy, cinematic moment, while still maintaining the interactivity of the player experience. In the case of God of War, this was mostly accurate. Then the imitators started rolling in (and have been continuing to roll in ever since), and many (if not most) implementations of QTEs have fallen flat on their faces and infuriated players and critics. Trash like Spider-Man 3 was just embarrassing. Even otherwise "good" games, like Resident Evil 4 have been tarnished by poor executions of QTEs. Many games have ditched traditional QTEs in favor of similar button-mashing or prompted actions. 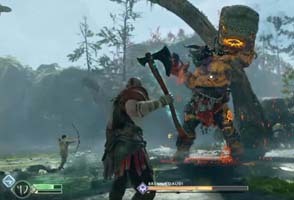 The new PS4 God of War is a prime example. But these are basically the same thing. Spider-Man 3 has some of the most egregiously-bad QTEs that I can remember.